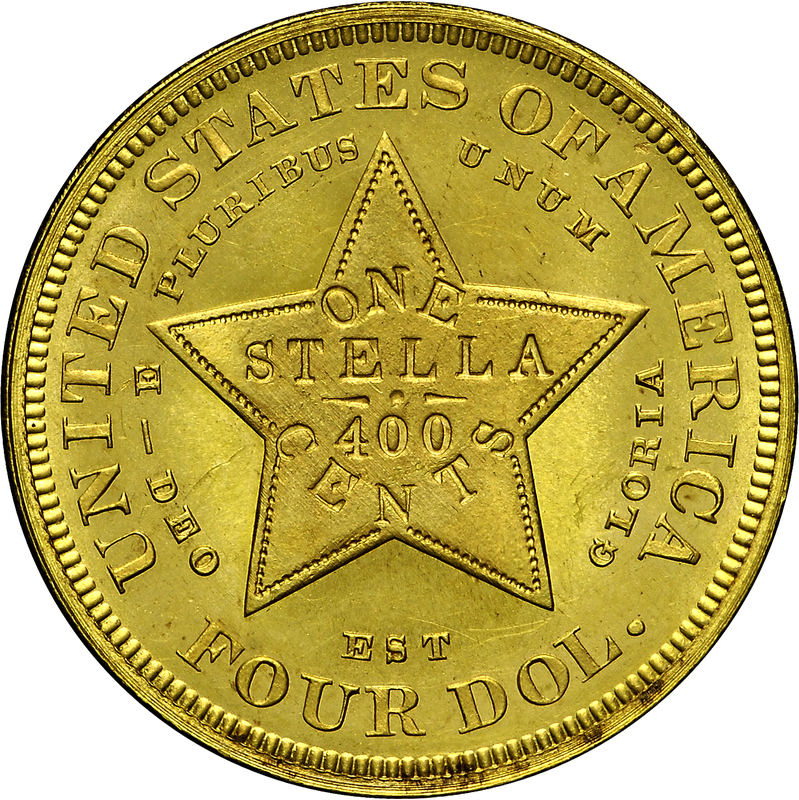 This Stella begins a display of all five designs, including the quintuple stella, dated 1879 and 1880. HBCC-6155 through 6159 should be viewed together and in order. Struck in gold, this is the single most “common” stella for possibly as many as 100 examples are known. 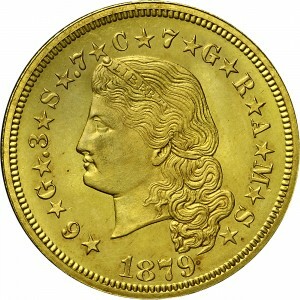 The obverse features Charles Barber’s Flowing Hair design with a common reverse to all four stellas. This denomination was proposed by John A. Kasson, United States minister to Austria. 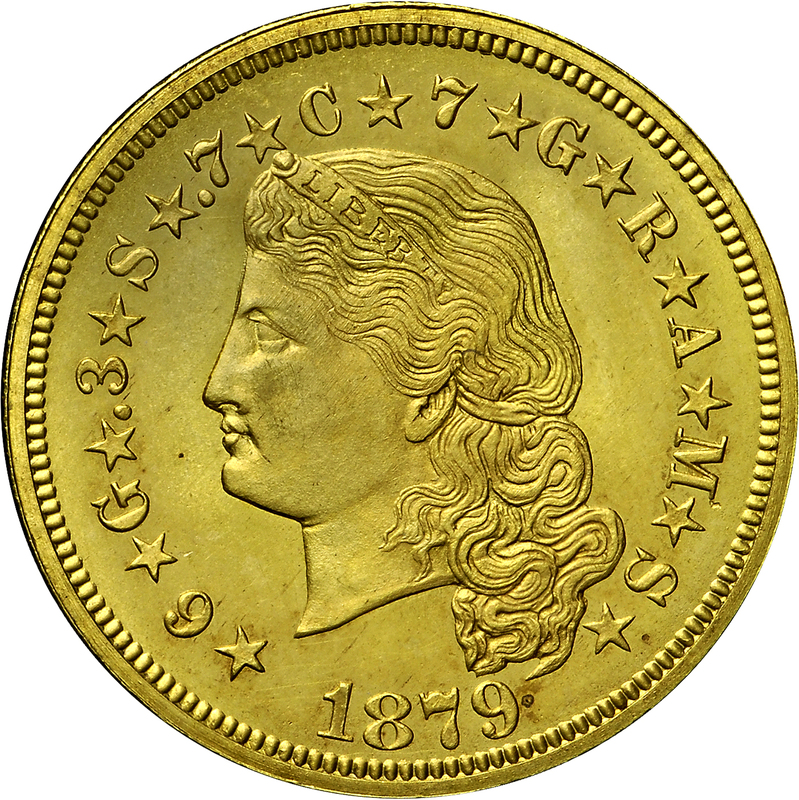 He felt such a United States four-dollar denomination gold coin would facilitate trade and exchange, since it closely resembled several European coinage systems. Purchased from Rowe and Brownlee on November 2, 1970.